The temporomandibular joints (TMJ’s) are the points where the lower jaw attaches to the skull. 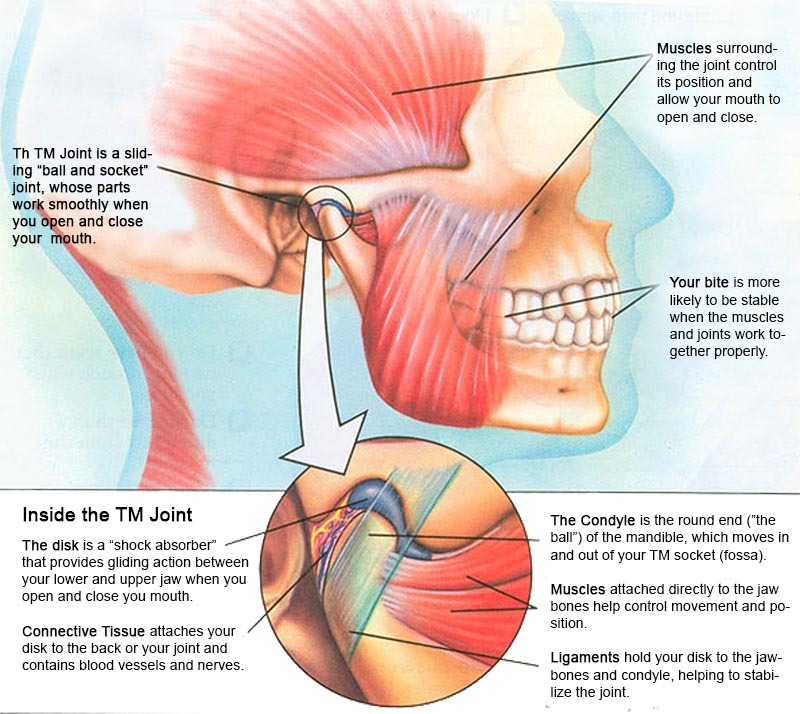 The TMJ is like a ball and socket, with the skull being the socket, and the top of the jaw bone being the ball. TMJ disorder or TMD is a term used to describe acute and chronic problems with the temporomandibular joint and it’s supporting and surrounding structures of muscles, ligaments and tendons. Sometimes there is also involvement of nerves and blood vessels. frequent headaches and or neck aches and or earaches.